Ito Project is a one-man band and that’s a tough feat for this sound. Everything is woven together chaotically at some points and beautifully with elegance at others. The music is remindful of Gauge Means Nothing, who were a very noteworthy Japanese screamo band active until the mid-2000s. They integrated soft male and female vocals with bright guitars and short bursts of emoviolence. Dia, of Ito Project takes Gauge Means Nothing’s sound, that others have tried to emulate, to a whole different space. In 2015 with Boushitsu no Sho, Dia is ready to explore more of the fantastical. He uses spoken word and somber tones to transition into mixed atmospheres of sound. The songs are varied and the EP clocks in at a dense 18 minutes. The pace picks up in the second half of the EP where it begins to convey a strong sense of urgency. Dia switches between singing in euphoric melodies to screams reminiscent of bands like Majority Rule and Pg.99. The songs on Boushitsu no Sho tend to be a lighter sounding than Dia’s previous effort on his self-released CDr EP in 2014. What sets Boushitsu no Sho apart from releases by other bands in the Japanese screamo scene is the story-like sound of each song often varying between the magical and the dismal without sounding like Envy. 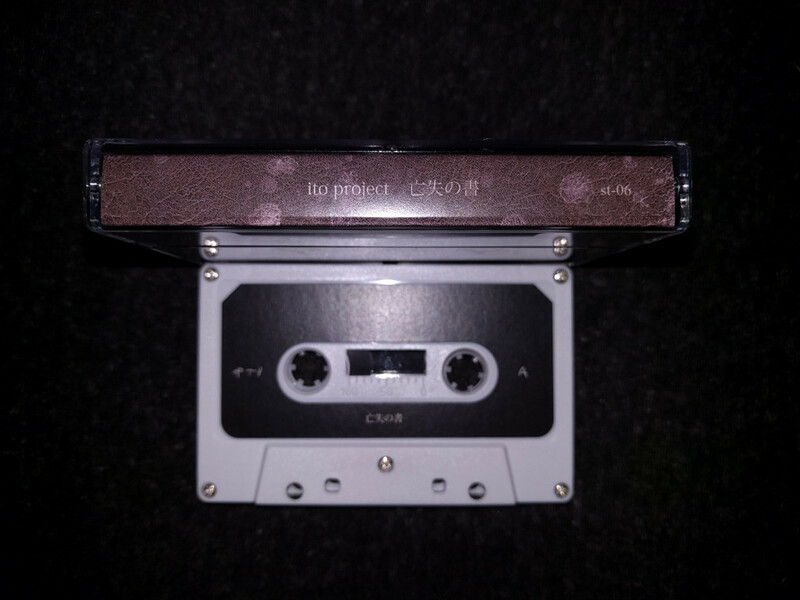 Boushitsu no Sho was released stateside by Strange Tales Records in October of 2015 and is limited to 100 cassettes on white with black labels. All songs are in Japanese and translations are not provided.